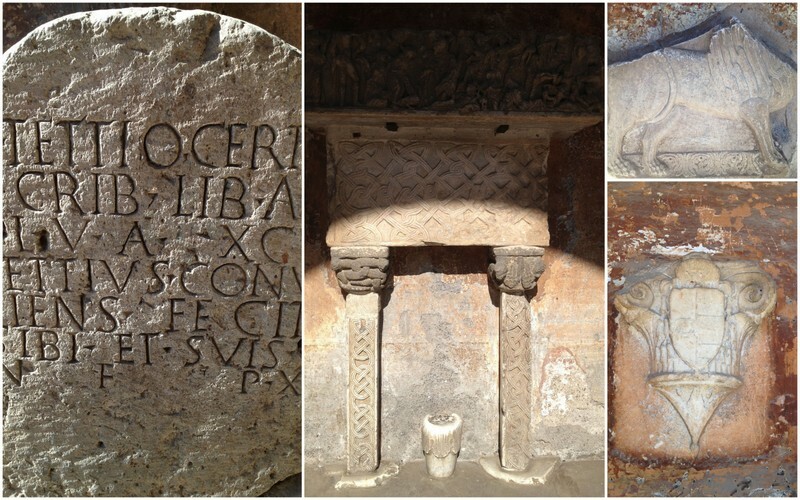 Rome has been excruciatingly hot this summer. We needed a break and some air conditioning and cool country breezes. 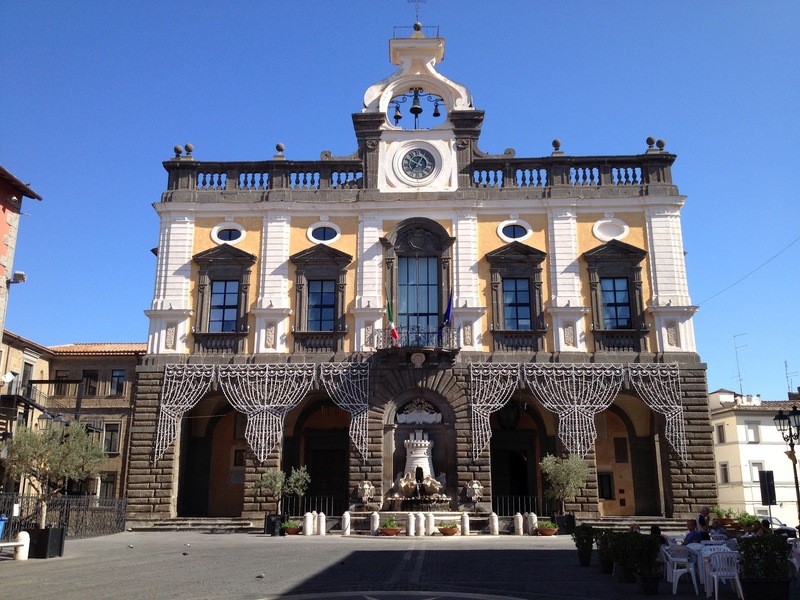 So we fled to the our very dear friends very comfortable Villa Torre Alfina near Orvieto. On the way we stopped for a pilgrimage of sorts. 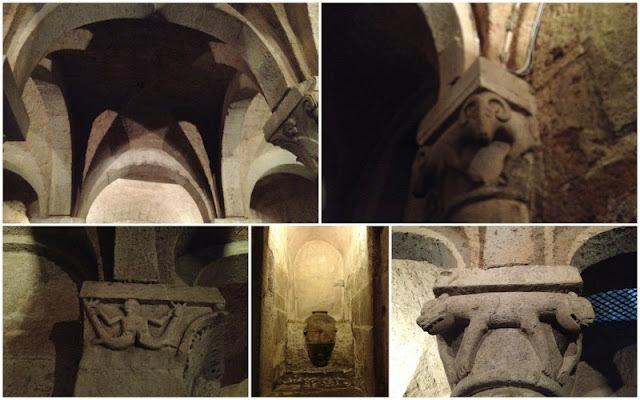 To the source of our addiction, the town of Nepi, less than an hour from Rome. There is a small fountain under an olive tree that was flowing with ice cold sulfury water. The fountain marked Minerale was dry. 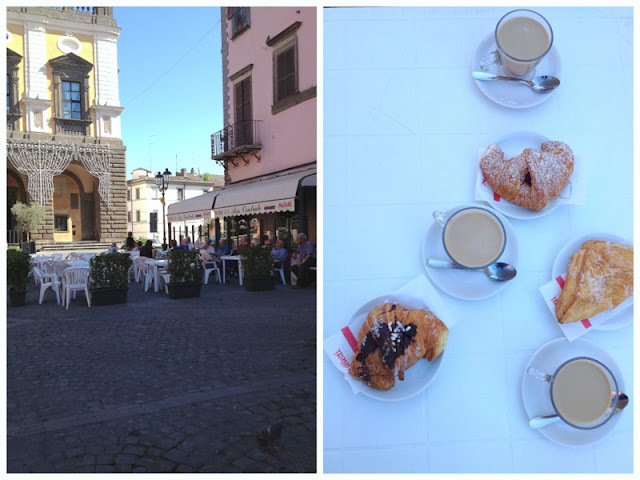 After a quick look at the fountain and the bottling entrance we headed to the town of Nepi for breakfast and a wander. 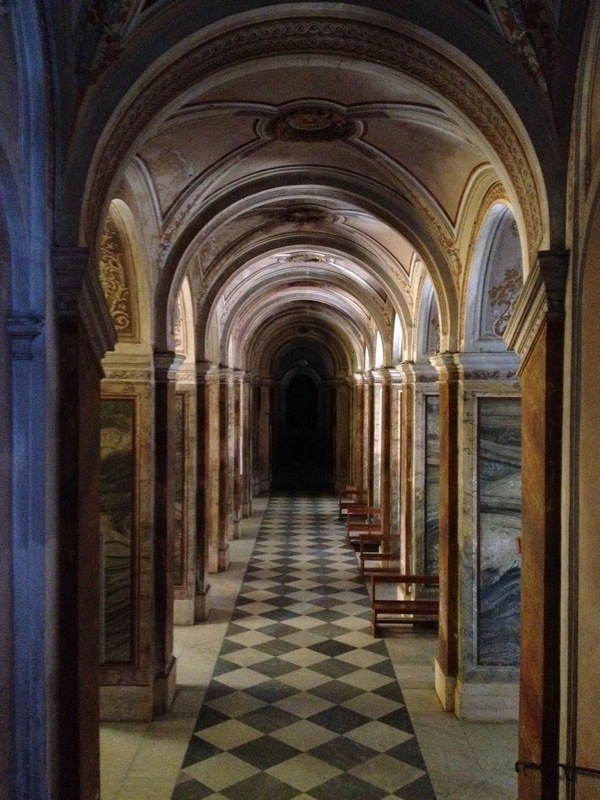 The Duomo, built over a pagan temple was completely deserted on an August morning. 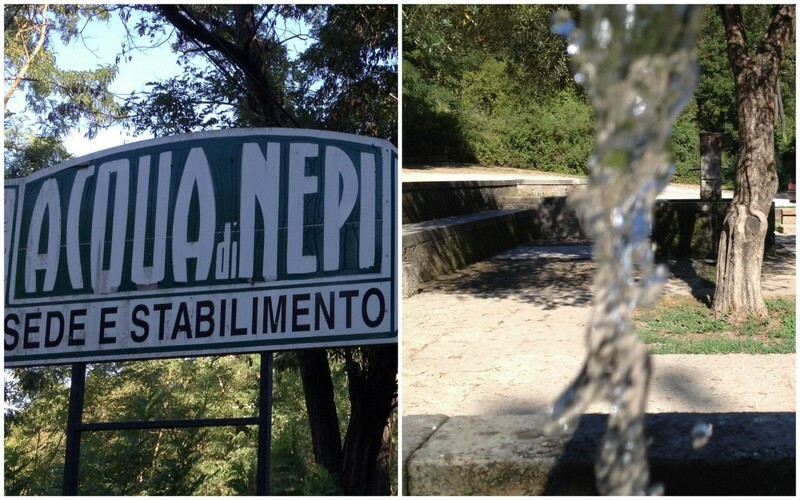 When the weather cools down an bit and it is hot spring season again we will stop in Nepi again and eat here. What? 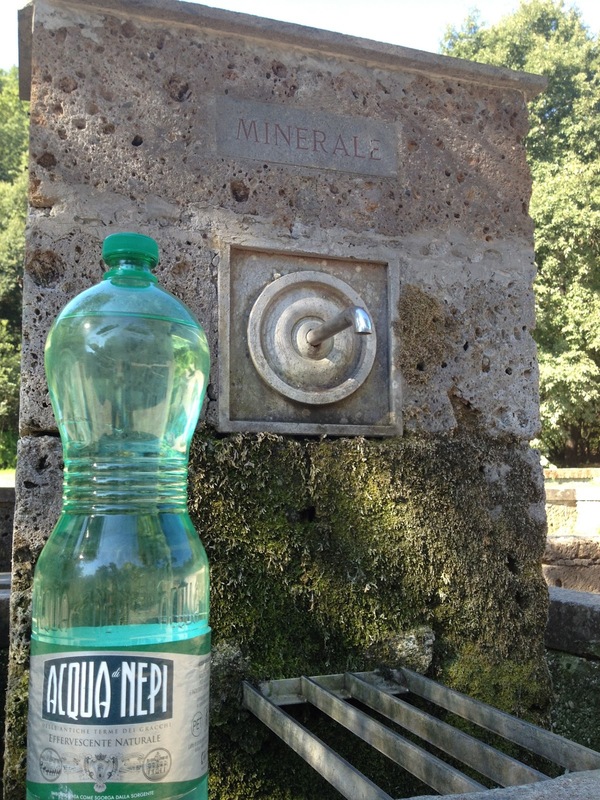 No minerale water in Nepi? 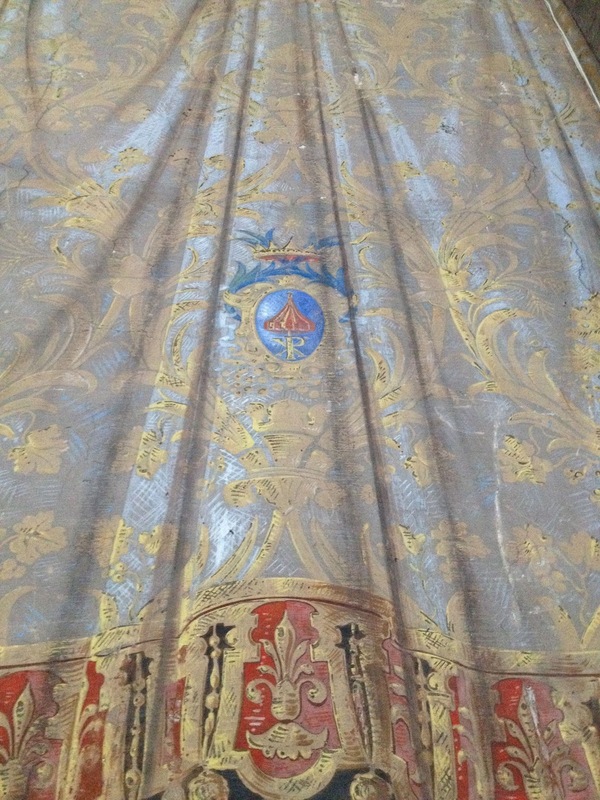 Quelle arnaque. The crypt looks wonderful. And cool. 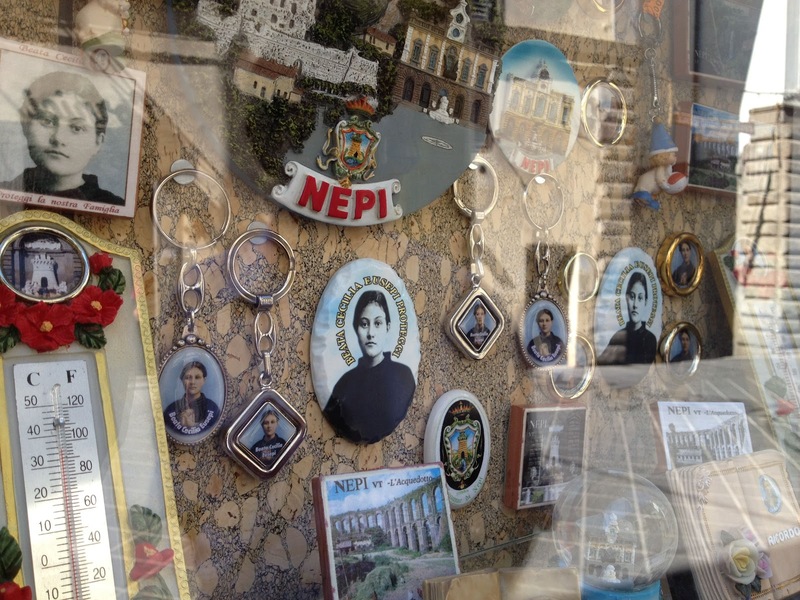 Thanks for for the intro to Nepi -- both the water and the village! What a gorgeous spot for a hot and thirsty summer afternoon.